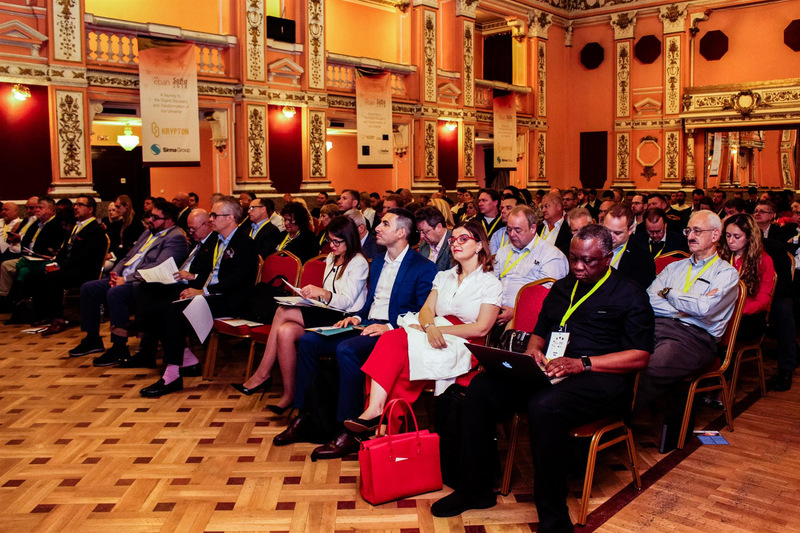 On 25-27 June, Business Angels, VCs, corporates, policy-makers, and innovators from across the world gathered at the memorable Central Military Club in Sofia, Bulgaria for the 2018 EBAN Annual Congress, titled “A Journey to the Digital Discovery and Transformation of our Universe”. EBAN would like to thank its co-organizers for the Congress – the Bulgarian Association of Business Angels, with special thanks to BABA co-founders Nikolay Mavromatis and Borislava Bitolska, and the European Investment Project Portal, again with special thanks to Filipa Ramalho, Policy Officer at the European Commission, Directorate-General for Economic and Financial Affairs. We would also like to thank our partners and sponsors: Eleven – who also organized a wonderful Sightseeing Tour enabling EBAN Sofia attendees to discover the intriguing history and background of Bulgaria’s capital, ESA, Gust, InnoEnergy, ELITE, Krypton Capital, Sirma Group, Dynax, GarGarage, Stellar Angels Club, Sofia Investment Agency, Bulgarian Private Equity and Venture Capital Association, Endeavor Bulgaria, CEO Angels Club, Webit – with whom we collaborated for the EBAN – Webit Investor Summit, Deal Matrix, World Business Angels Investment Forum, Startup Includer, Lean In EU Women Business Angels, and, last but not least, Cornerstone Communications. Finally, we are thankful to all of the speakers, entrepreneurs and attendees who participated in the Congress, and for those who were unable to come, we hope to see you at our next events: EBAN Luxembourg Winter Summit on 22-23 October 2018, and EBAN Helsinki Annual Congress on 3-6 June 2019! 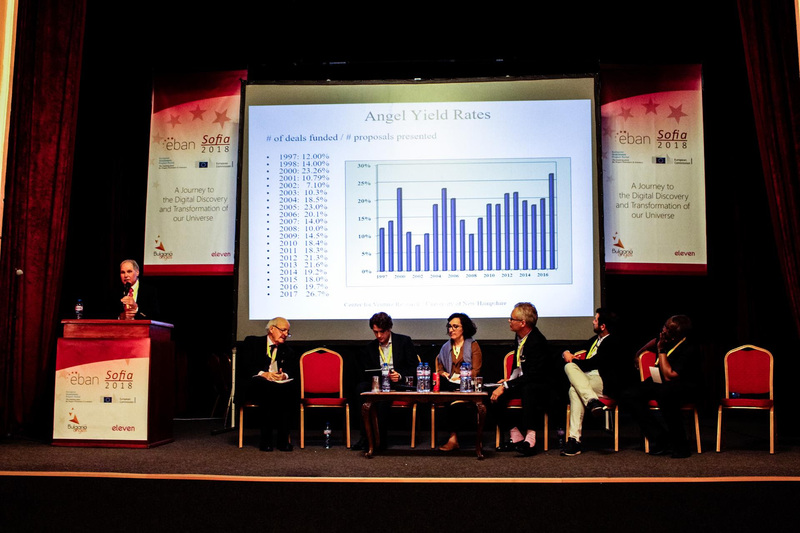 After a grand opening ceremony featuring EBAN President Candace Johnson, EBAN President Emeriti and other distinguished guests, EBAN Sofia dived straight into EBAN’s raison d’être: angel investing. From dialogues on super angels to views on early stage investing from around the world, from the EIF’s European Angel Fund initiative to lessons on co-investment and syndication, the topic shined through as a main thread throughout the conference. Special thanks go to speakers who traveled far and wide to participate in EBAN Sofia and shared their diverse experiences and perspectives with the audience, including, but not limited to Brian Cohen, Chairman of New York Angels; Kaushal Chokshi, Founder & President of Scaale Group; Israel Pons, CEO and Co-Founding Partner of Angels Nest LATAM; Alexander Wiedmer, Partner at Iris Capital, Randy Thompson, Chairman and CEO at Valhalla Private Capital; Carsten Just, Investment Manager at European Investment Fund(EIF); Pieter Dorsman, President & CEO of Redpeaks Management Inc.; Charles Sidman, Managing Partner at ECS Capital Partners; Yuri Navarro, CEO & Executive Director at NACO; and more! Of special note was the as yet unprecedented session on angel market research, featuring the latest research from world-renowned angel investing expert Prof. Jeffrey Sohl, Director of the Center for Venture Research and Professor of Entrepreneurship and Decision Sciences at the Peter T. Paul College of Business and Economics at the University of New Hampshire, along with EBAN members and partners sharing angel market data from their respective countries/regions. During the session, EBAN presented its 2017 Statistics Compendium, set to be published the week of 9 July. Shifting focus to the hottest trends in the early stage ecosystem, the Congress abounded with sessions on different sectors that have risen to prominence in the field of angel investing. Be it Cyber Security, Sustainable Energy, Health, Big Data, AI, Cloud, InsurTech, Space or any number of other verticals explored; Be it superstar speakers like Edna Conway, Chief Security Officer at Cisco, Frank Salzgeber, Head of Technology Transfer at ESA, Olga Miler, Managing Director and Global Program Architect at UBS, or Rachel Whittaker, Sustainable Investing Strategist at UBS; Or be it the stand-out entrepreneurs who presented their projects to the audience – EBAN Sofia was a veritable cornucopia of sectors that should not be missed by any investor. One of the standouts was the much anticipated and lively session featuring Dušan Stojanović, Founder and Director of True Global Ventures and Dr. Barbara Lang, Partner at InnoExc GmbH Switzerland, who presented two views on ICOs and dug deep into the token and crypto frenzy overtaking the early stage investment market. The talks were followed by a panel discussion with Brad Yasar, Managing Partner of KrowdMentor, and Dirk Weyel, Founder & CEO of Strykz, along with the keynote speakers. The panel was moderated by Peter Cowley, Chair of the Cambridge Angels. 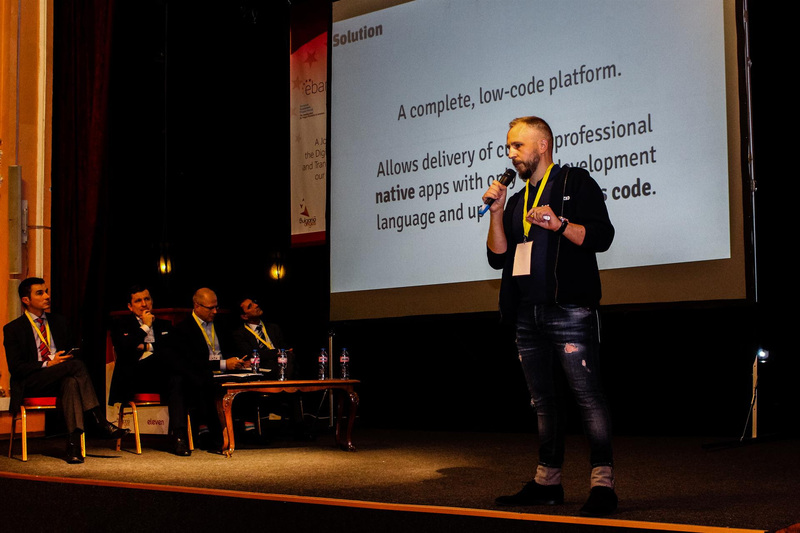 As business angels and startups are two sides of the same coin, EBAN Sofia offered some great sessions and workshops tailor-made for entrepreneurs wanting to take their companies to the next level. Hans Van Grieken, EMEA Technology Research & Insights Leader at Deloitte Consulting (pictured above) opened the second day of the Congress with a spectacular presentation on the DNA of Scaleups, complemented by inspiring talks and workshops from the likes of Martin Bloom, CEO of Emblem Ventures, Murat Aktihanoglu, Co-founder and Managing Partner at Entrepreneurs Roundtable Accelerator, EBAN Partners London Stock Exchange’s ELITE – represented by Andrew Velasco, ELITE Club Deal Manager, and more! In addition to learning valuable lessons on scaling up, 57 lucky startups – selected from hundreds of applications and representing more than 20 different countries – had the opportunity to pitch in 5 sector-focused sessions, with 2 winning companies from each sector pitching on the main stage on 26 June. EBAN would like to congratulate all winning startups and thank all participating entrepreneurs for their valuable contributions! 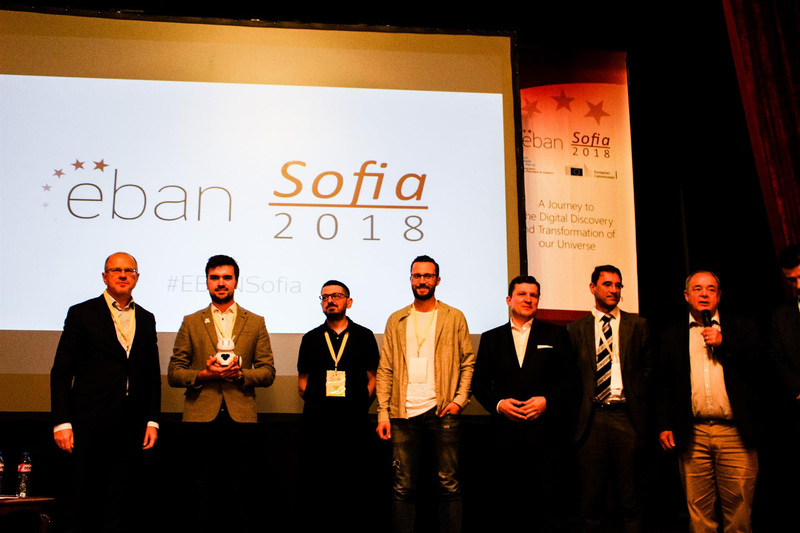 The EBAN Sofia Startup Competition was sponsored and facilitated by the European Investment Project Portal, who provided travel sponsorships for selected companies and coordinated one-to-one meetings held throughout the 2 days of the Congress. 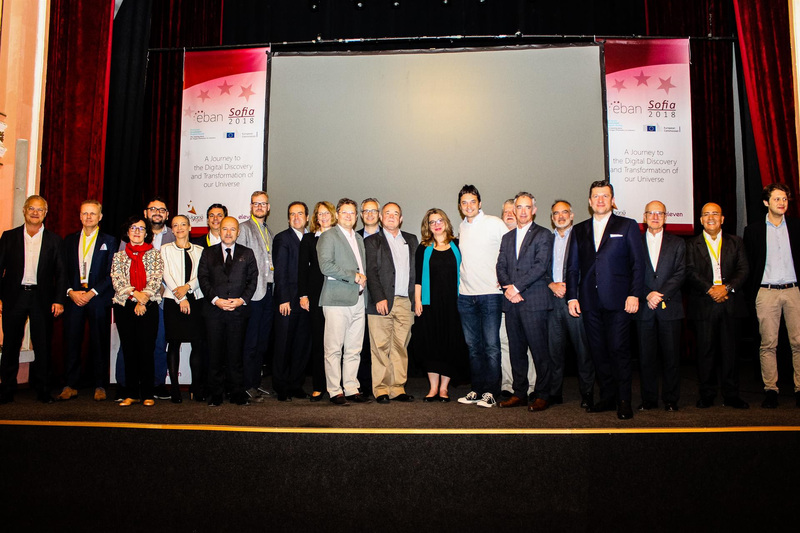 The EIPP was represented at EBAN Sofia by Filipa Ramalho, Policy Officer at the European Commission, Directorate-General for Economic and Financial Affairs, who presented the platform and all that it does to connect startups and investors across Europe in a keynote speech on 25 June. On 26 June, the second day of the EBAN Sofia Congress, EBAN elected a new President and Board of Directors for the 2018-2020 mandate. As part of the election, Peter Cowley, Chair of the Cambridge Angels and Investment Director at Martlet was elected as EBAN President. EBAN would like to extend a warm welcome to EBAN’s new leadership, made up of 11 returning and 12 new Board Members. 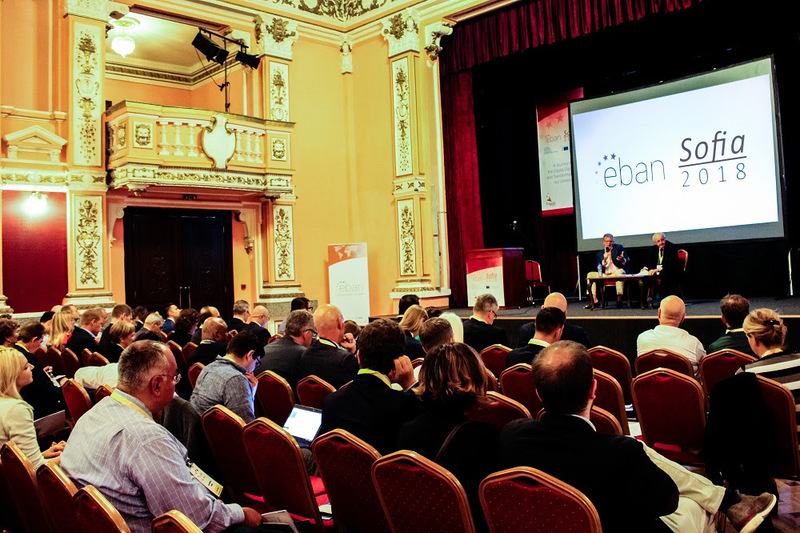 EBAN also took the occasion to announce its upcoming flagship events at EBAN Sofia. 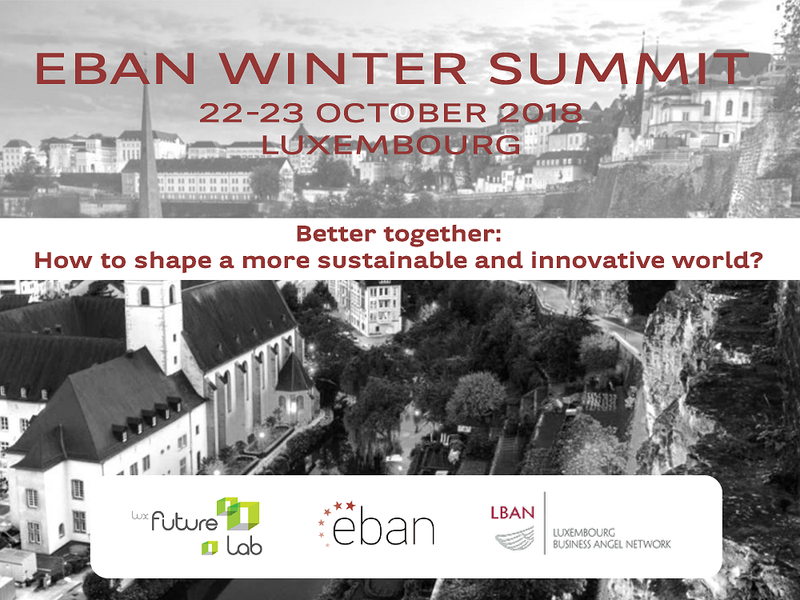 EBAN Winter Summit 2018, which is set to take place in Luxembourg on 22-23 October, will be organized in collaboration with EBAN Members Lux Future Lab, the acceleration program of BGL BNP Paribas, and Luxembourg Business Angel Network(LBAN). The announcement was made by LBAN Board Members Fabrice Testa and Stephan Peters. As for the EBAN Annual Congress 2019, EBAN will be heading to Helsinki once again and collaborating with the Finnish Business Angel Network. The Congress will take place on 3-4 & 5-6 June in conjunction with Arctic15. 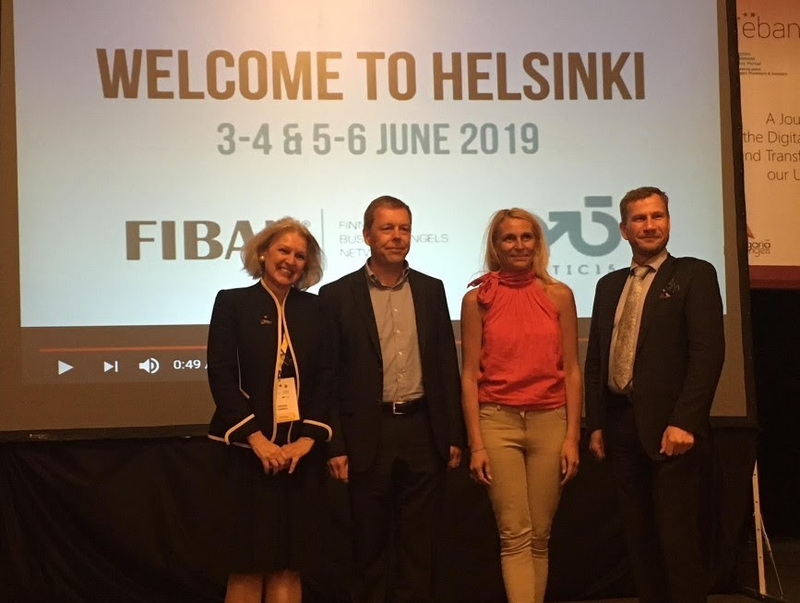 It was announced in Sofia by FiBAN Chair Janne Jormalainen, Board Member Pia Erkinheimo, and Managing Director Reidar Wasenius (pictured above with President Candace Johnson). 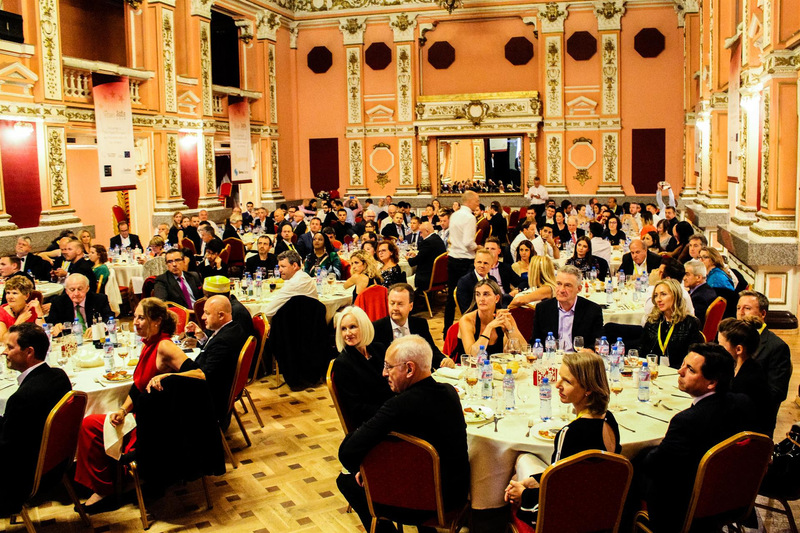 As part of the Sofia Congress, EBAN held its annual Gala Dinner and Awards Ceremony on 25 June at the Central Military Club. Awards were presented to various distinguished individuals and organisations who made their mark on the early stage ecosystem for the year 2017. EBAN would like to congratulate all winners and thank them for their tireless efforts and commitment to developing the early stage ecosystem throughout the world. This year, EBAN also added a special new category to its awards. In collaboration with X23, Lead Partner of the Lean In EU WBAs project, awards were given out to women who had a positive impact on the Early Stage Investment ecosystem, contributing to the push for female empowerment. Special thanks to Marika Mazzi Boém, Co-founder & Senior Innovation Strategist at X23 and Project Manager for Lean in EU Women Business Angels for coordinating the effort, and congratulations to the winners: Fausta Pavesio, Best Woman Business Angel of the Year, Marian Spier, Best Newcomer Woman Business Angel of the Year, and Candace Johnson, who received a Lifetime Achievement Award. EBAN would like to thank once more everyone who sponsored, supported and attended the event and looks forward to welcoming the early stage community again at its next events. EBAN – The European Trade Association for Business Angels, Seed Funds and Early Stage Market Players – is the pan-European representative for the early stage investor community, gathering 184 member organisations in 59 countries around the world. 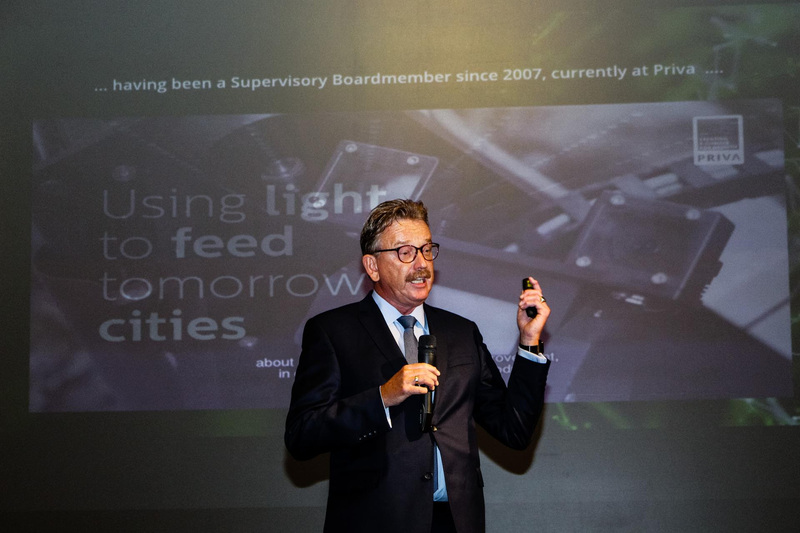 Established in 1999 by a group of pioneer angel networks in Europe with the collaboration of the European Commission and EURADA, EBAN represents a sector estimated to invest 11,4 billion Euros a year and playing a vital role in Europe’s future, notably in the funding of SMEs. EBAN fuels Europe’s growth through the creation of wealth and jobs.